Let me start by saying this. Price movements are not random. There is motive behind it and it does have a destination. Supply and Demand is what moves the markets and is the ONLY thing you need to trade. No indicators, no volume, nothing. My goal is to have you fully understand and agree to this statement by the end of this post. This post is not intended to become an everlasting thread and I do not teach. I will not be explaining in detail what a Supply zone is or how to identify one. There are plenty of videos out there explaining this. 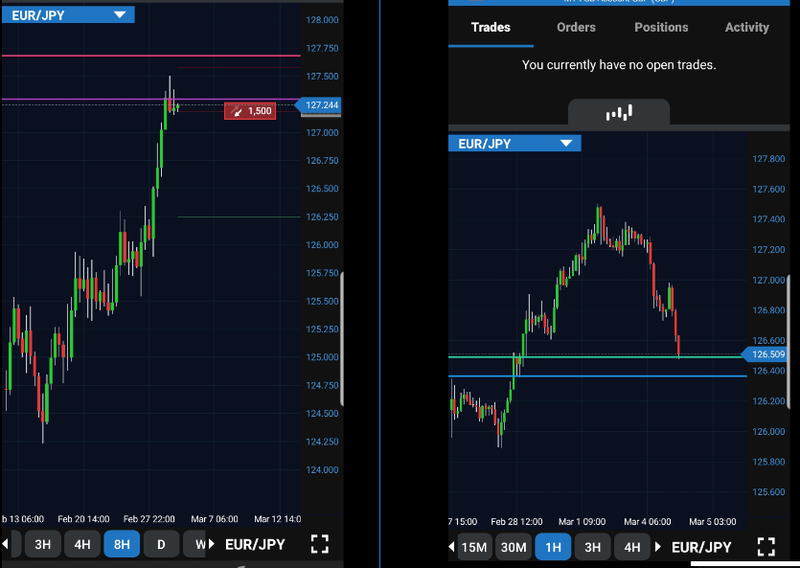 I am simply going to show the steps required to properly analyze the charts from top down to pin point a high probability trading opportunity. Hopefully taking away some of the questions and confusions you may have. A word on picking tops and bottoms. All I want to say on this really is if you are able to enter trades on the same side as the institutions, by definition you are picking tops and bottoms. So how is this a bad thing? Also, ask yourself why you need to be one of the people entering once a trend is already in motion. Who started that motion and why couldn’t you have been a part of it? You must apply the same rules to trading as you do to anything else in life. If a product is being sold for £10, you pay £10. You do not wait until it costs £12. It’s really that simple. Buy low sell high, sell high, buy low. 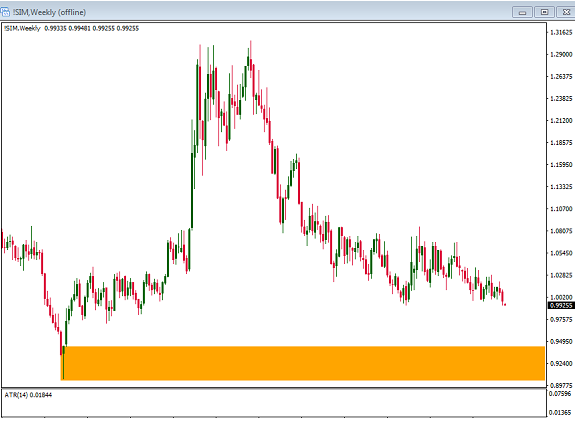 I have chosen a random time in history on the EUR/USD to explain what is really happening in the markets. This trade is not one I have cherry picked. It is taken from my own back testing log in which I analyzed price without knowing future outcomes. Note - I will be charting on MT4. 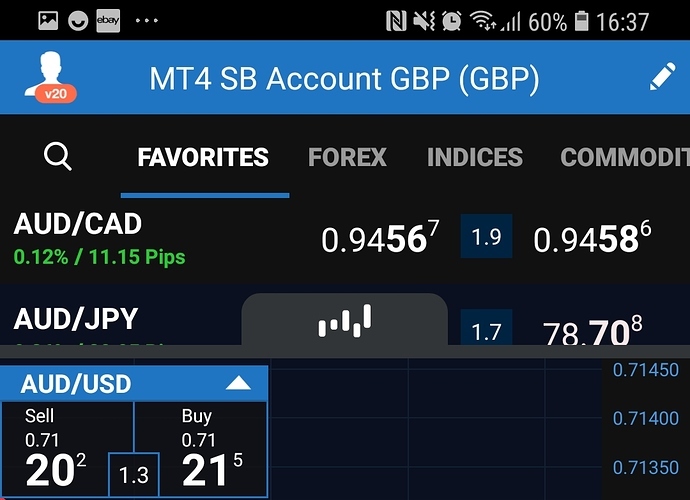 I do not use MT4 for trading however for showing this back test example I used “FX blue trading simulator” on the MT4 strategy tester. I highly recommend you getting this as it allows for multiple time frame back testing completely free on MT4. Firstly we must use three time frames. More is too much, you will end up with too many zones clouding your judgement. Less is too few and you will end up trading into supply and demand. 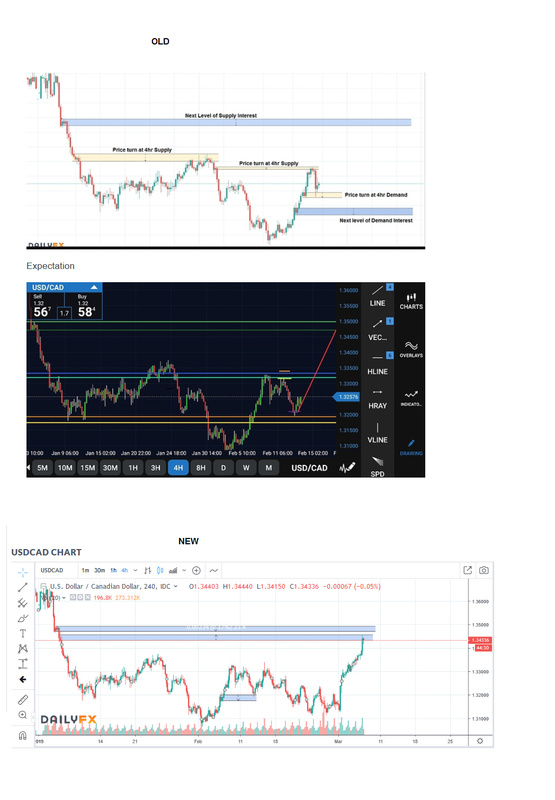 If like me you trade the 4hr chart, You also require the Daily and Weekly charts to prevent what is mentioned above and too help see the bigger picture. What I have shown in the above charts is exactly what you should be doing on every single trade you take. 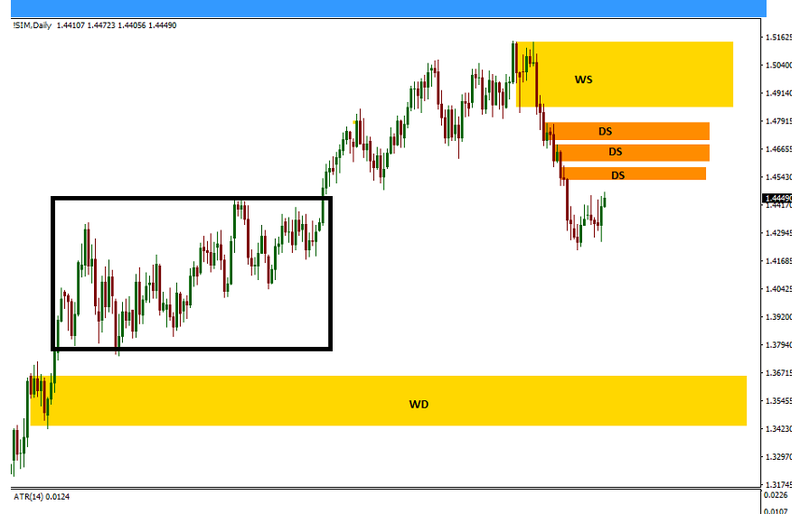 Plot out Weekly Supply and Demand zones. Apply those Weekly zones onto the daily and 4hr charts. This is important. Applying higher TF zones onto your actual trading chart (4hr) helps keep your mind clear and concise aswell as showing you the fractal nature of price action (TF within TF). Plot out Daily Supply and Demand zones. Apply those weekly zones onto the 4hr charts. Now lets talk about trends. Trends are a part of trading but not in the way you have been taught. Trends are an after effect of price moving between the imbalance of supply and demand. You need to keep things simple. 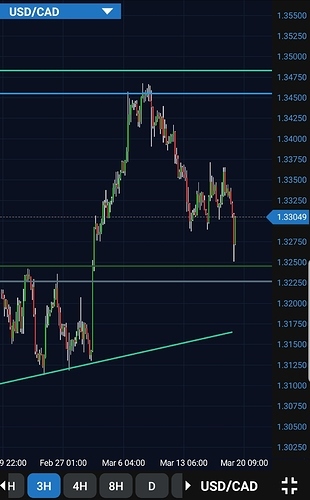 You need to stop applying trend lines that show you when to buy and when to sell and no one can agree where trend lines should be placed. Trend lines should only be used on the chart to show signs of momentum change. Most traders lose and most traders use popular trading tools. This is not only MACD, RSI etc but also horizontal lines and Trend lines. Ask yourself. If so many people fail to make consistent profits trading with these tools, do you really believe you can apply them to charts any better? no you cant. Forget what you have been taught. Do this instead if you actually want to see results. Look at the Weekly chart. Where has price come from and where is it going? Important note - As long as you have drawn your S@D zones correctly, price will most often follow your expected source and destination. On this Weekly chart price left Supply. So where is it going? To demand. Is that a down? Yes. So we only want to be looking to short the market. It is that simple. Why look at the chart in terms of fancy trends and get completely lost in higher highs, lower lows, lower highs and higher lows when we just determined we only want to sell based on two zones on the weekly chart. Keep things simple. Price is about half way from Supply to demand. 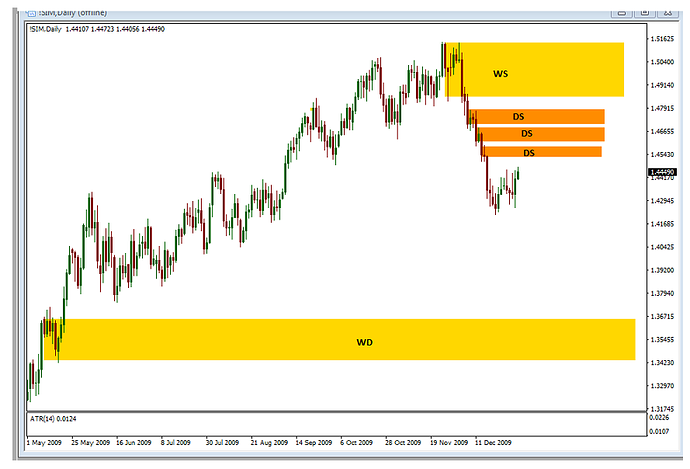 As long we we have our zones correct on the weekly, we do not expect price to turn and rally. We fully expect price to reach our demand zone. Nothing is certain in trading. There will be losses. Look at the Daily chart. We only ever want to enter trades when price is at supply or demand. Not in between. We know that we only want to sell from looking at the weekly chart. We see three Supply zones (Level on level). We would be looking to enter at these supply zones. But which one. Here is something you will just need to accept. It could be any of these supply zones or none at all. If you enter on the first and price goes through it, well then so be it. Enter on the next. Each time price pushes through one of these supply zones, more and more buy orders will get filled. 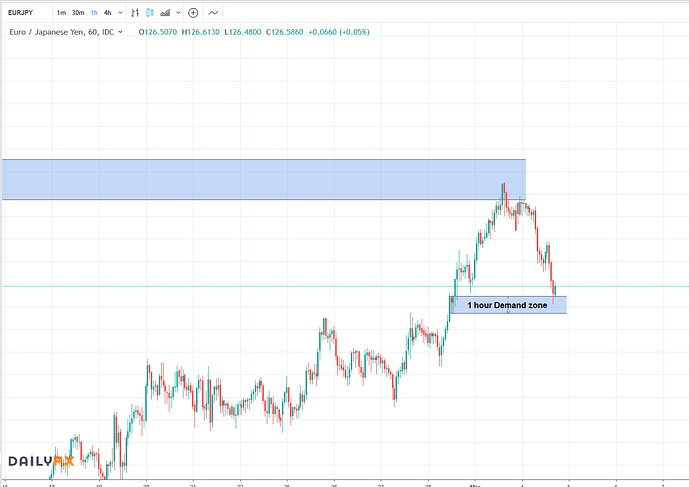 This means that the higher level supply zones are higher probability trades however I fully encourage you to take the first one in case price does fall from it and you never had a trade open. Price might not reach any of these supply zones. This is either because price fell instead from a lower TF Supply zone that happens to have enough sell orders, or the institutions sold heavily and pushed down price before the zone was hit. Check the Risk reward ratio. 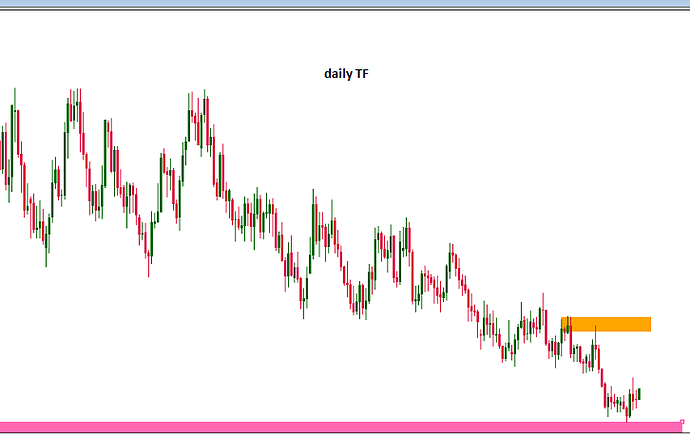 The daily chart shows us that price is just below supply and there is a long way down before we hit demand. The swing lows to the left are not demand zones. I will not fully explain why but simply put. If you drew a box around all those swing lows to the left (see chart below) and see how much trading must have been going on there… it was a lot. Any orders were likely filled so we do not expect price to turn at these swing lows. In other words these swing lows are not fresh. However we do expect some demand to temporarily halt price. 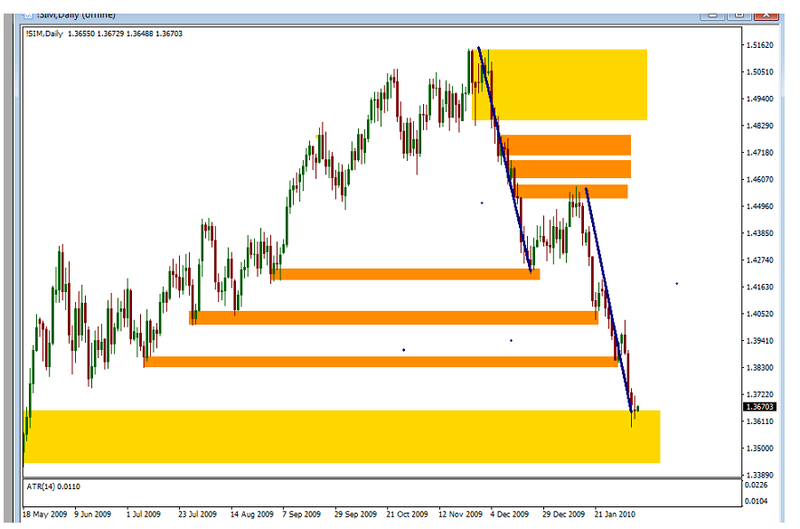 Remember that the Weekly chart zones hold more weight and will overcome lower TF zones. We have analyzed the weekly and we know our destination. 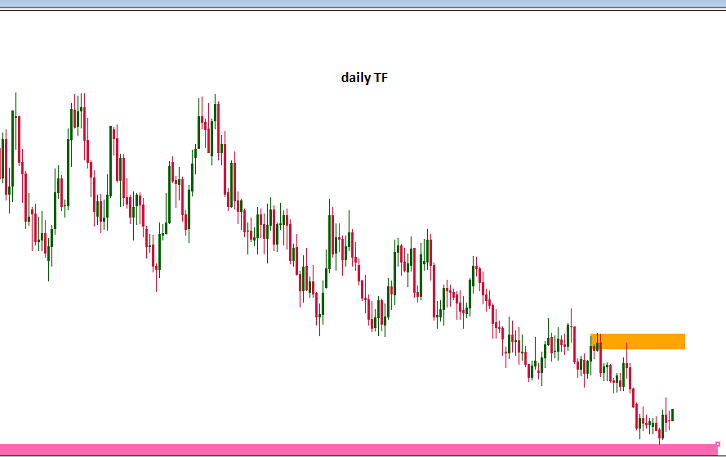 We have plenty of room below so this is a fine trading opportunity if price reaches daily supply. Check trend momentum on the 4hr chart. As explained above, people use trend lines to determine which way to trade. I use them to tell me when there is weakness. We see there has been a break of trend which shows weakness. What are we looking to happen? We want price to rally up to our supply zone as it did here so seeing this break of trend is a good thing. It tells us in advance that price is about to retrace back to supply giving us an opportunity. Enter the trade if price reaches Supply. If it does not , forget about it, there will be other opportunities. Never chase price! Where to enter and where to place the SL and TP? You need to keep things mechanical. Enter when price hits the zone. 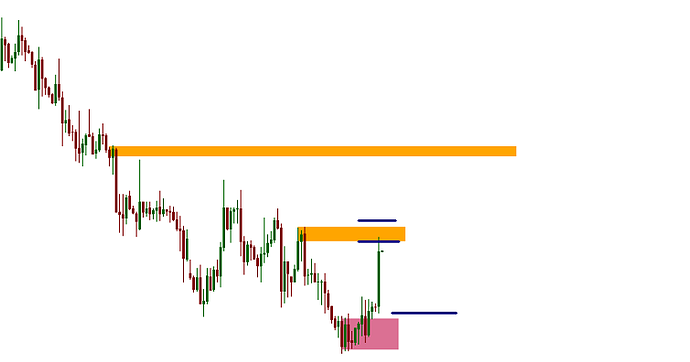 Set SL a few pips away from the zone. A few things to point out here. 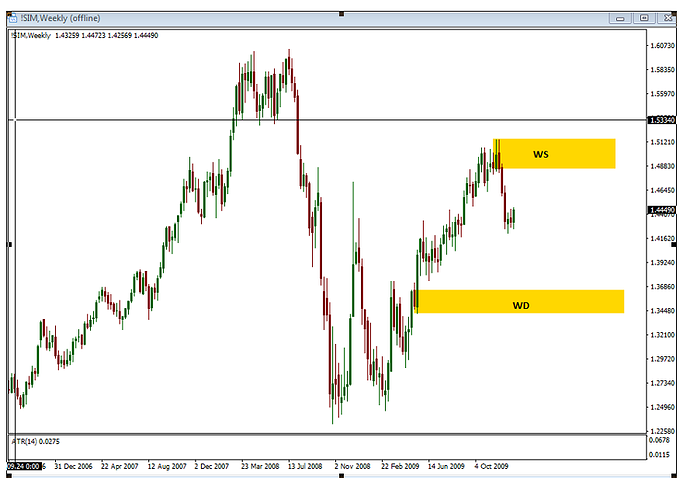 With S@D trading we only want to be trading fresh levels. These are levels in which price has not be at previously. The more times price has been at a zone, the more orders were filled and the weaker the zone becomes resulting in lower probability trades. Regarding the entry when price hits the zone. You may wish to enter a few pips before. Why? Well this is where it gets interesting. What do you think happens when you start picking good levels to trade? You have found yourself trading against the herd but more importantly, with the institutions. You are now on the right side What do the institutions have that you don’t? big money. You are now competing with the banks . You may find two things happen. Either you cannot get your order filled in the zone (unlikely but possible) or price wont reach the zone because the Institutions are heavily trading and moved price before it even reached there. So entering a few pips before might be something you wish to do. 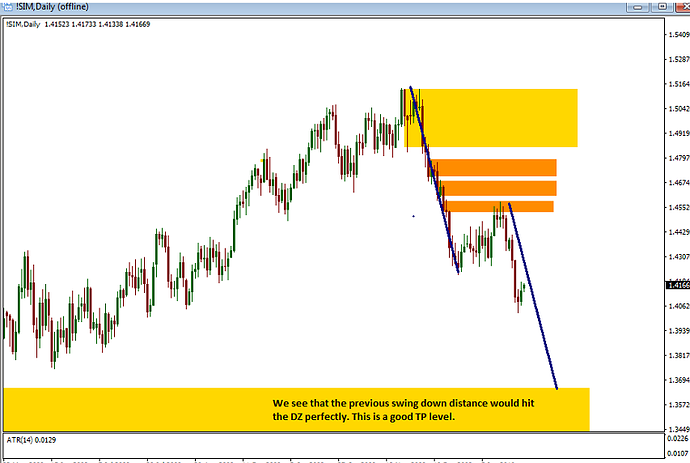 The TP level depends on how you wish to trade. As shown in this 4 hr chart above you could just exit about 85% of the way to the previous low wish a nice 3:1 RR. However if you are more aggressive, knowing that you expect price to ultimately reach weekly demand and you cant see any daily demand getting in the way you may wish to set your TP at 80-85% the distance to this level instead. Taking partial profits at the previous low and letting the rest run is also possible.That is essentially how to trade S@D. Applying these steps religiously and mechanically with practice should yield good results. Lets check what happens in this trade. Its nice when confluence pops its head up. Often but not always price will move roughly the same distance as the previous swing. 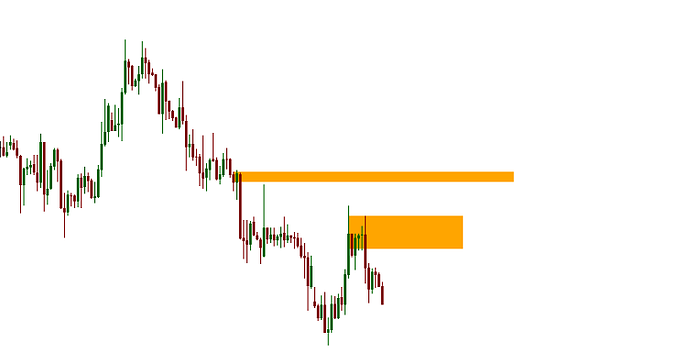 We can project the previous swing to this trade and it alligns with the weekly demand zone. Some nice confluence. We see on the 4hr chart that price has begun to reach some demand from the left swing lows. I will show you this once the trade is over. I have drawn in some 4hr supply zones. Remember that we expect pull backs on the way down to weekly demand. Its just how price moves. 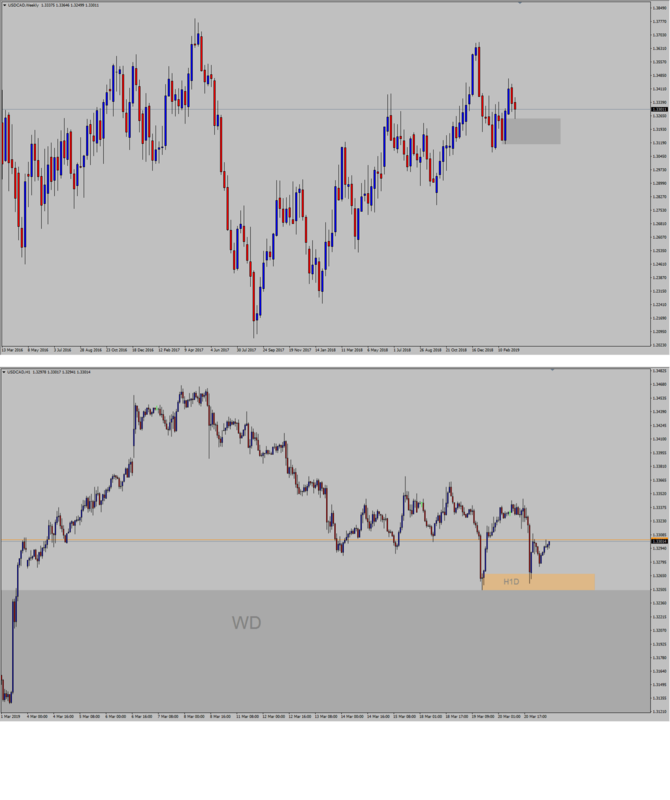 We are in the trade already so this is purely to observe how price moves to and from supply and demand. It’s 100% supply and demand imbalance. Price moving from filled orders to unfilled orders. Nothing more nothing less. Price reaches the target for a 8:1 RR. 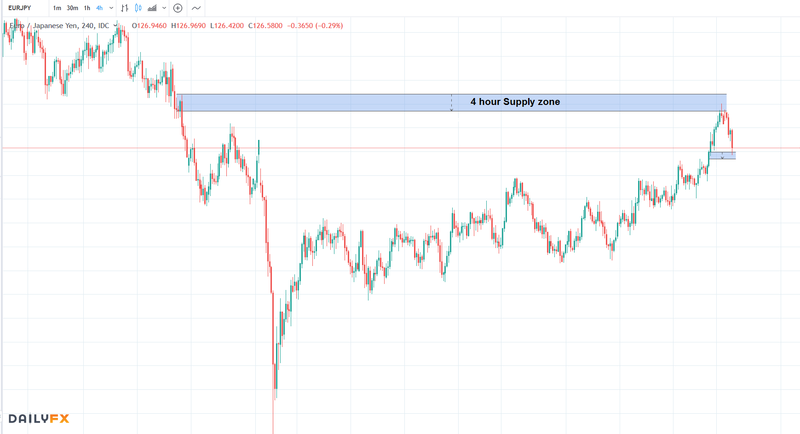 We can see how price fell from the 4hr supply zone. These zones are real, they work and don’t let anyone tell you otherwise. The chart is not voodoo. It moves for a reason and you need nothing more than these candles to show everthing you need to know. Delete those MACD’s and Moving averages asap. 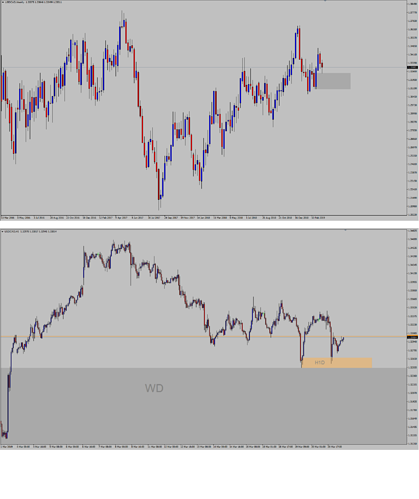 We see by looking on the daily TF exactly why price on the 4hr kept running into temporary demand. Look left. I don’t think anybody in their right mind can say price moves randomly once they understand and can see supply and demand in action. Now that price has reach Weekly Demand we no longer want to look for selling opportunities. 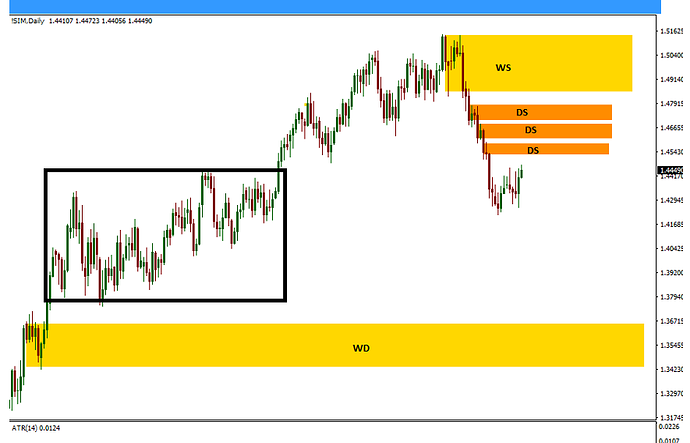 Here are the new weekly zones in which we would would apply the same steps to in order to find further high probability trades. One last thing to note. There are different types of trades. The one we took was where price was already in motion. It had already left supply and on its way to demand. In that situation we only needed to use the trend momentum to detect weakness and wait for price to hit supply on a lower TF. In this situation price is at demand and could actually push through and keep dropping. So we need to be more thorough with the trend momentum lines on the daily chart. 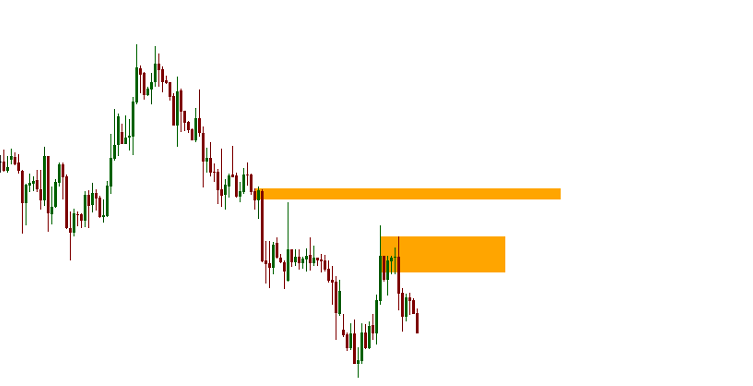 Only when we see clear momentum to the upside would we look to buy on 4hr demand zones. The reason for this is that price does not tend to just hit weekly demand and shoot off. It will likely go into a range for a while before rallying so buying and expecting an instant rally is foolish. 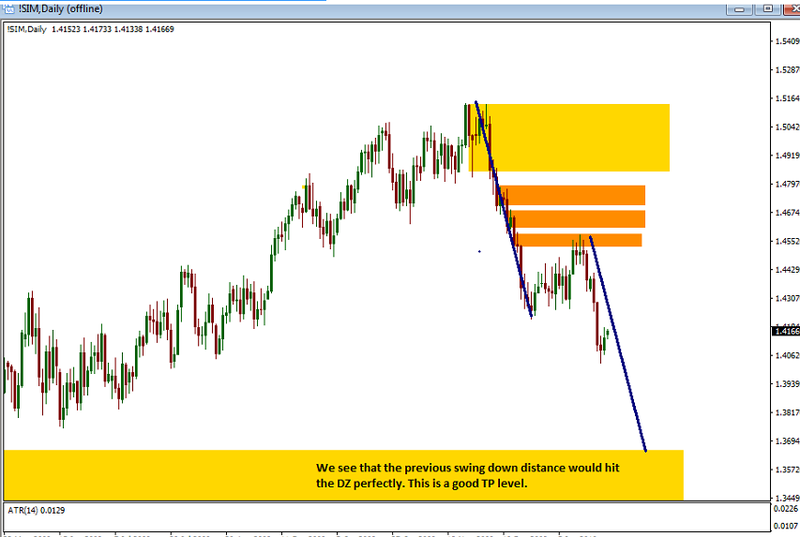 On a lower TF price may still drop further into the weekly demand zone. We do not know how far so until we see a change in momentum the power still lies with the bears. And of course there is a chance price pushes through demand and continues down. Its all probability in the end. The weekly chart shows a lot of orders being filled. 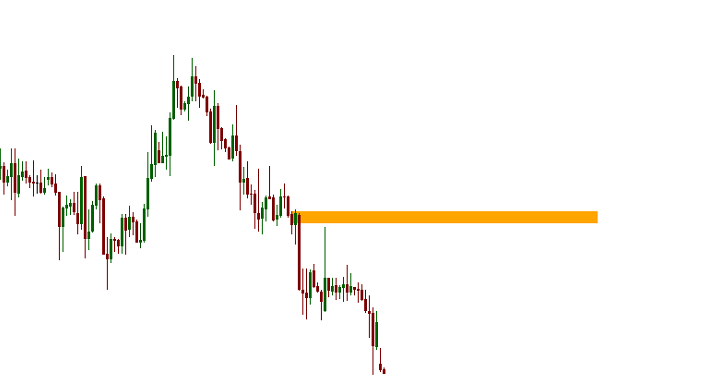 Price is falling and we see a Demand Zone below. We look to only short until price gets close to the DZ. 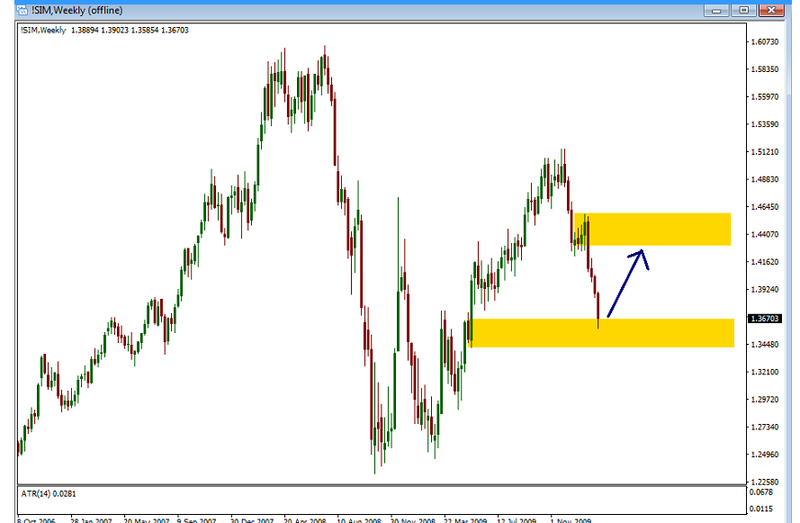 We will be looking for areas of supply on the daily and 4hr charts. One has been drawn in. We have another area of supply. No supply areas are being seen on the daily which is why none have been shown. The Supply zone has been hit. You can see how price snaps to the zone like a rubber band. This is because supply has depleted so price must rise to the next area in which sellers are located. This is where they are. The chart is showing you supply and demand imbalances in action. This is all the information we need. To determine where price will fall to we need to check where there has been the least amount to orders being filled. This would be the area marked in pink. TP would be about 80% of the distance. TP is reached for about 2:1 RR. There are no new areas of supply so we must wait. the recent high I would not class as Supply because its more a pivot (Supply zone should have 3 or more candles) and also a retest of the previous supply zone. Not fresh. We have another SZ and price has snapped to it. This looks like a good RR trade. The TP area is again where there has been the least amount of orders being filled. 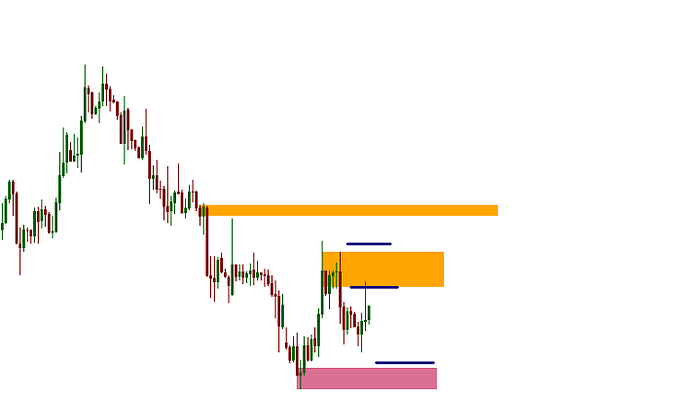 Look above the pink area and see how much trading was occurring. but look to the left of the pink area and its empty. This is the TP level. TP reached for about 4:1 RR. As I mentioned in the initial post regarding Trend line momentum. We know that we are in a weekly downtrend. We see here that nthe 4hr trend momentum line now has candles closing to the upside. This shows weakness and a sign of retracement to a higher SZ. We already have our SZ marked so this is where we are looking for a continuation down move in price. 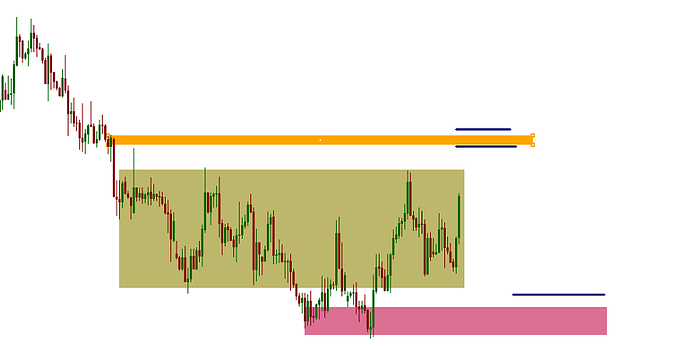 The large zone highlighted shows filled orders. Always look left and see what price is telling you. This is a set and forget trade. The pink zone shows the least filled orders. This is where price is likely to go. Nice RR possibility. The SZ I have set rather aggressive. However I do not see a clear SZ above this so although its narrow it looks right. TP reached. Price fell through the mass of trading to the left. Once you have this kind of mindset the chart becomes clear. SZ set and hit. Rince and repeat. TP reached. Here is a good example of why you should set and forget. Price spent 3 days hanging around this SZ and if you were to keep looking at your charts, as price pushes deeper in to the zone most people would exit the trade. You must have trust in your trading and be mechanical. This is another back testing trade I took straight after the ones I have just shown. This time we have a daily SZ show up. To find a TP level we have to look left. In this case the previous DZ was 4 years earlier. I suggest you do not listen to those who tell you that old price action is worthless. Honestly… I cannot tell you why exactly price still reacts to old SZ and DZ’s but it does. The DZ is shown in pink and TP would be 80-85% the distance. However I do not trade the daily chart. So I use the 4 hr to see if there is a 4hr SZ within the Daily SZ. This helps to reduce the SL also. The orange SZ is the Daily. The purple SZ is the 4hr. The SL is reduced. The green highlighted zone shows lots of orders being filled. So again we look below to where there are few orders filled. The old daily DZ from 4 years ago is it! TP was hit and price bounced right of the DZ. Nice Supply /Demand analysis Epidot! Why would anyone want to trade with anything other than supply and demand? We can read plain charts and locate key turning points as simple as shown below. I like the charts makes little difference to me if someone calls the it S&R or S&D. And while its nice to see green pips in abundance it more nice to see the equity growth. There is a difference between supply and demand Vs support and resistance. You will often see people draw a horizontal support/resistance line where price has touched multiple time even though price has cut through that level already. This would not be a supply zone as the level must be fresh and also support resistance line do not make sense when using supply and demand. A support line is not helpful. Price enters a demand zone and eats into it, orders being filled. How far it eats into the zone tells you alot about the supply demand balance and other things. A support line is useless. However if you use support resistance zones then it’s okay as it’s basically the same as supply demand just perhaps without the understanding of what is actually happening. Charts move due to supply demand so trying it any other way is not a good idea imo. Thx Epidot. I will look forward to more of your educational and examples posted. I placed this trade on the 11th. 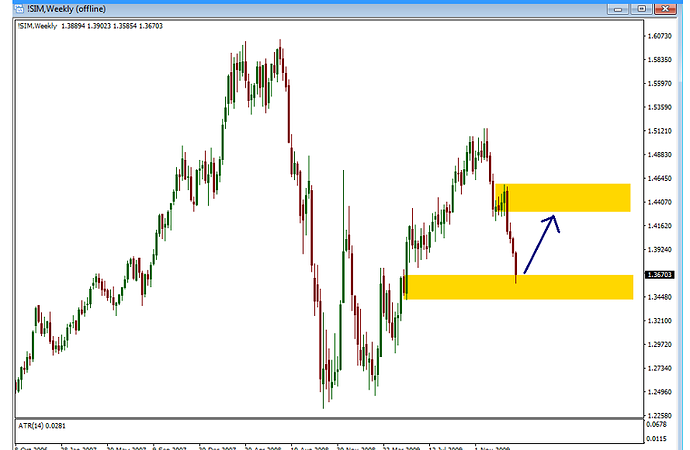 Have a look how price respects the supply demand zones. Price just bounce off the demand zone I already had drawn. I think price will now move to around 1.34695. Clean chart is all you need. You might ask why wouldn’t price make another down move like in the previous few swings. Well we check the weekly chart and see the previous few swings include a bounce off a weekly trend line. Now I don’t tend to use trend lines but this one is just to obvious… It shows a move up is more probable. A trade I took today. Buy at demand tp at supply. Nice audusd trade today. Having to trade from my mobile as my computer is being repaired. Honestly… I don’t usually trade intraday but it’s a Friday and saw this opportunity. The was not any obvious demand level but I saw a nice supply level which price was likely to move towards. This combined with the triangle pattern gave me an idea when price would break out. Simple trade setup today. 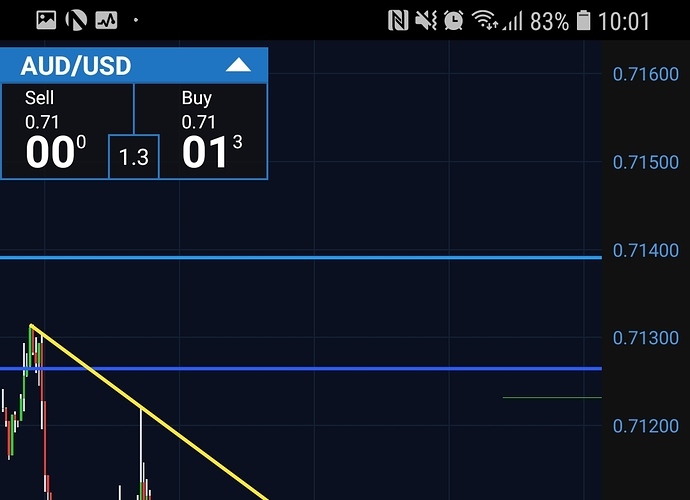 Entered on Supply and exited on the 1st fresh demand zone. Not a massive R:R, could stay in tehe trade longer but the demand zone looks pretty strong and should expect a bounce off it over night at least so wanted out. By the way I have come to learn that higher R:R does not come by easily at all. If you want a high probability entry and exit your going to need to accept bigger SL and shorter TP. Why? Well the higher TF zones take priority so you should be placing entry and SL either side of the hgiher TF zone (unless there is Level within level enabling smaller SL) and then you need to look into smaller Timeframes to locate possible zones of resistance. Your highest probability would be to exit at the first resistance zone, or run the risk of price bouncing off one of the zones and taking out your profits. 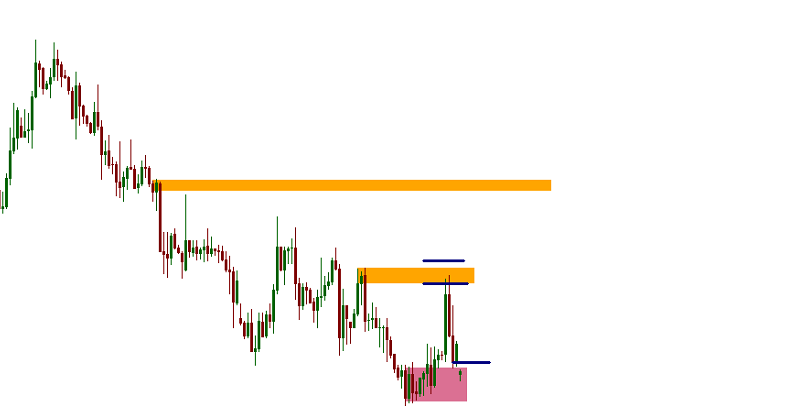 As you can see in this trade I entered with a large SL to cover the entire Supply zone, and exited on the first fresh demand zone of a lower time frame. I could stay in the trade for further profits, but who said price will continue to fall ? do you want more winning trades with less RR or less winning trades with (the potential for) higher RR is the question. Notice I said potential. You will rarely find a high RR trade without higher risk. Most of the time a strong move will have at least 1 zone of opposing supply/demand that price will have to break through. You just cannot tell how many pending orders are in that zone to know if price will break through it or turn. This is why exiting on the first fresh zone is the best bet. You can still get the occasional 5:1 RR out of this. I still have a few things to learn regarding supply and demand but overall I read the market pretty well. I should stop assuming that price will just leap from one demand zone to the next supply zone in one movement. Price clearly zig zags on its way using lower TF levels of supply and demand. but the higher TF zones will prevail in the end. Price is now at good supply zones. Level on Level. The only way to play this would be to sell at the below level and have a limit order on the above level at the same time. This way if price shoots up though the below zone we already have a pending order to catch price before it falls. Yes. Often you have for example a demand and supply zone but when price is making its way down to demand it can form more supply zones. So the initial supply zone is no longer the priority zone. So you always need to be on the look out for new zones that can effect price. 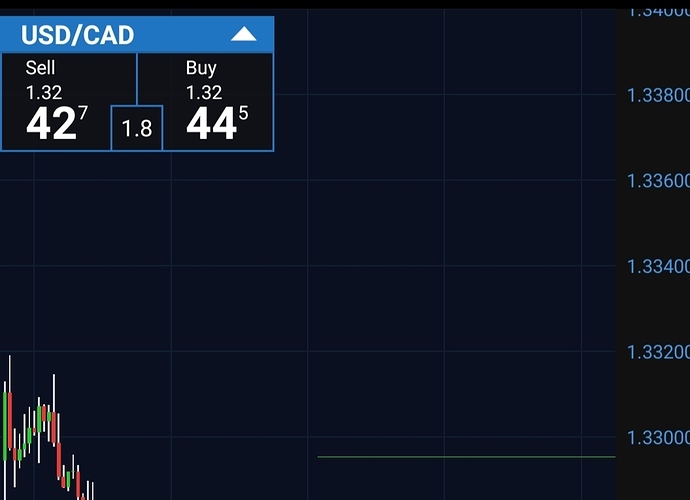 Update on the usdcad. 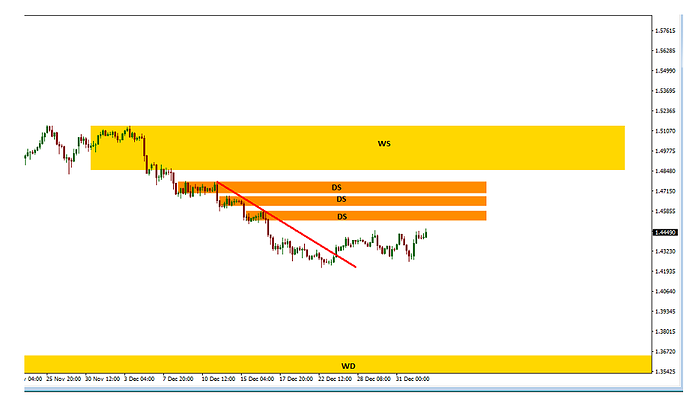 As we can see the zones held price and the expected move took place. 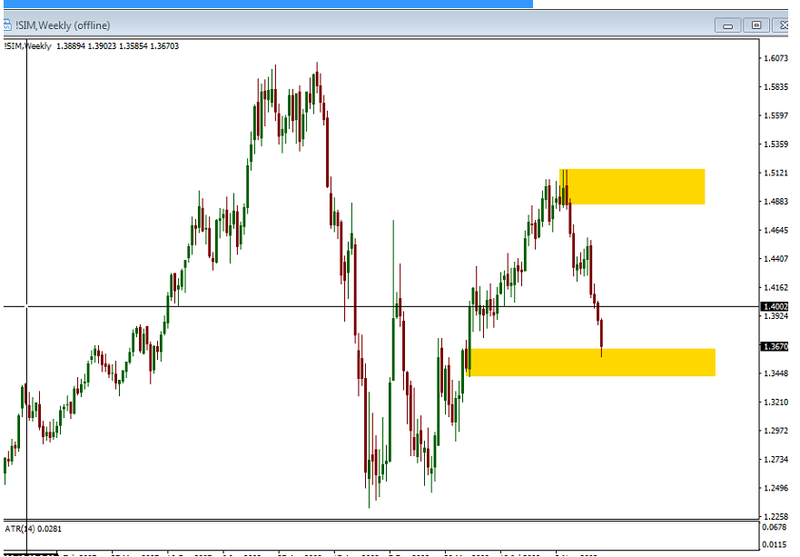 Price however did turn from the upper supply zone as price broke through the lower. This is common and only taking the upper zone is I think going to give you more profits in the long term. I myself am good at identifying decent zones but the execution is more difficult. 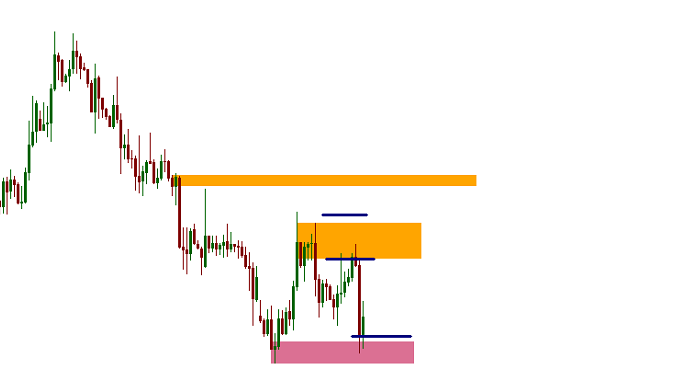 I often find I miss out trades even though I clearly see the zones in advance. Like here I didn’t make a penny but clearly saw the move in advance. It’s true… Emotions are the biggest hurdle along with patience. Hi Epidot, thank you for sharing. I love your explaination on POV of how u see the market using supply and demand. It really helps. first I analyze the higher timeframe (in this case is Weekly Chart) to define the direction where price goes from and into. as shown on picture above, that price is now touching a Weekly Demand and about to go up, then I get the information that the direction is up, so I go to lower TF to find good demand to jump in. 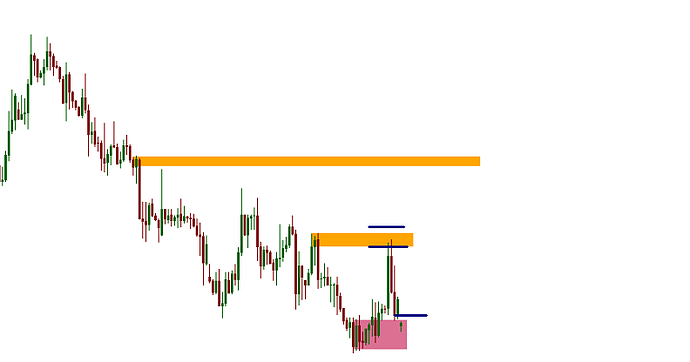 so the best entry is to go long at H1 Demand and up into H1 Supply somewhere above current price. Correction and comments are welcomed.